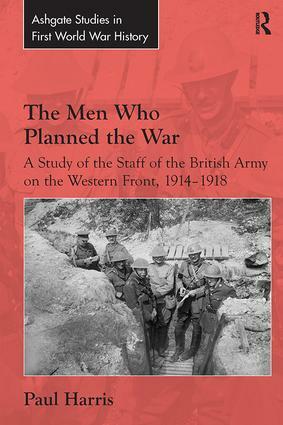 Introduction: the missing element; Origins, training and duties; The staff go to war; The life of the staff; Wartime learning and experience; The changing staff; Teams and careers; Conclusion: setting the record straight; Biographical notes; Appendices; Bibliography; Index. Dr Paul Harris works as a lecturer and writer. He completed a PhD on the staff of the British army at the Department of War Studies, King's College London in 2013. Prior to that he gained an MA in First World War studies at the University of Birmingham. His research interests include the work of the staff, military planning and strategy, and the career of Lieutenant-General Sir Herbert Lawrence, He is a member of the British Commission for Military History and serves on the committee of the Douglas Haig Fellowship.